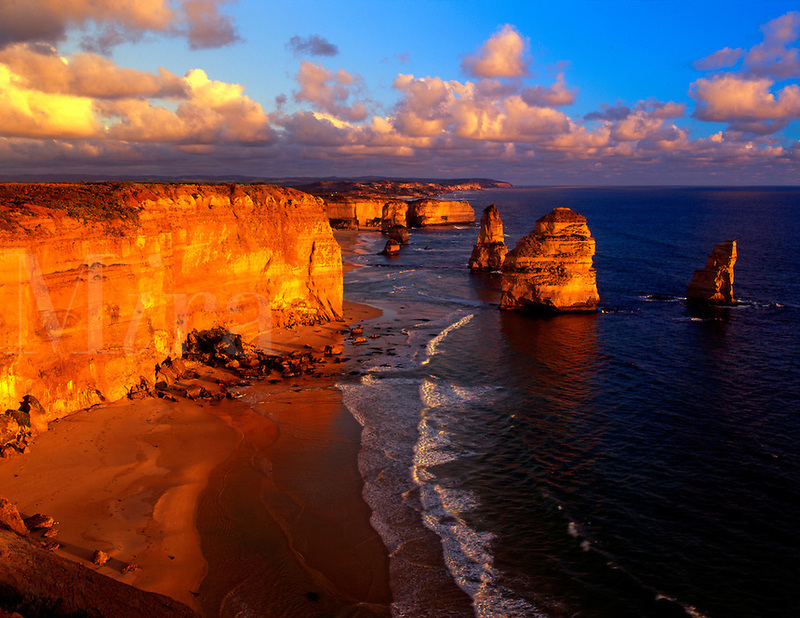 AUS-10a 12 Apostles, sunset, Port Campbell National Park, Great Ocean Rd. Victoria, Australia. Original: Medium Format.